I want to wish you all a Happy and blessed Thanksgiving. I pray God’s grace continues to cover you and your family. Give thanks today and every day for everything God has done for you. Give thanks for the lessons learned. Give thanks for the victories won. Give thanks for the pressing, the stretching, the beatings, the pruning, the suffering, the growing and more. In all things give thanks! Give thanks for the unseen dangers God protected you from. Give thanks for the new assignments He has placed before you. Give thanks for the closed doors and the open doors. Give thanks!!! Good afternoon! Happy Thanksgiving Eve! Tomorrow is Thanksgiving and the time of year where everyone takes time to reflect and give thanks for all of the good things God has done for them. 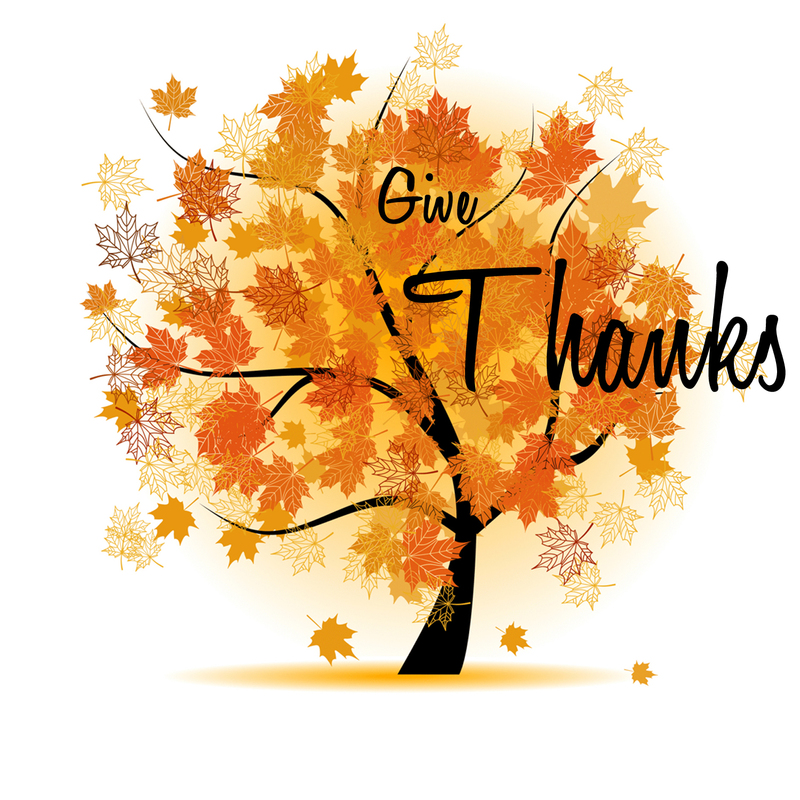 It’s great to celebrate this holiday; however, we should get in the habit of giving thanks everyday of the year. Every day God has given you is a day of Thanksgiving. Did you know that it is the will of God that you give thanks in everything you go through? Yes, EVERYTHING!!! That includes the good and the bad. A good friend of mine told me a couple of years ago to find the blessing in everything. No matter how tough things may appear, if you really look hard enough you will be able to find the blessing in it. I encourage you to give thanks privately and in public. People are always watching you and as believers it’s important that you show people how to give thanks when times are good and times are difficult. Take a moment to reflect over a typical day, do you give thanks for everything or do you complain about everything? God blessed you with a job and although it may not be the career you ultimately want, it is still a job that pays you and helps God to provide for you. Give thanks! You have been complaining about being single and although you are not with someone right now, God has been preparing you for the right one that will come. Give thanks! You have been married for years and complain about your spouse, but God blessed you with one another to give Him glory. Give thanks! I don’t care what you are going through, in EVERYTHING give thanks! I pray you have a blessed Thanksgiving. Remember to give thanks every day! Have you ever woke up and asked, “WHY ME, LORD?” Have you ever felt like you can never get ahead? I mean every time you take one step forward you get knocked back three steps. You are a Christian and you tithe faithfully; however, it never seems to be enough. WHY ME?! This is the question that plagues so many believers. It just doesn’t make sense to suffer when you are living a life that is pleasing to God, does it? We’ll instead of asking, “WHY ME?” ask yourself, “WHY NOT ME?” The Word of God tells us, “it is better, if it is the will of God, to suffer for doing good than for doing evil” (1 Peter 3:17). Do you realize that even when you suffer for righteousness’ sake, YOU ARE BLESSED? That’s not Nicole speaking, that’s the WORD OF GOD! God never brings anything to you that He has not equipped you for. Ask yourself, WHY NOT ME? Jesus suffered, bleed and died for you and me. Jesus suffered for people who cursed Him, rejected Him and turned against Him. WHY NOT ME? Sometimes I think Christians have some celebrity complex and they begin thinking they are exempt from trials and tribulations. NEWS FLASH: IF JESUS SUFFERED for doing good then what makes you think you shouldn’t suffer? Surely, you are not better than JESUS. Did you ever stop to think that God needs your story to lead people to His glory? God wants to use your testimony to reach the hearts of people. God is so amazing that HE knew before you were formed in your mother’s womb that you could handle everything that was going to come your way! WHY NOT ME? I declare that I love the Lord. WHY NOT ME? Greater is He who is in ME. WHY NOT ME? God has not given me the spirit of FEAR! WHY NOT ME? I am more than a CONQUEROR! When life challenges you and it seems like your back is against the wall, I encourage you to stand tall and scream, WHY NOT ME!? If Jesus did it for us, surely we can suffer for HIM! Be encouraged my brothers and my sisters. YOU ARE BLESSED! Good morning! Happy Wednesday to you all! I pray your week is going well thus far. I reread that poster several times and had kept staring at the picture of a door closing and then I had an “Aha” moment. God began showing himself mighty even in a picture of a door closing. *SMILE* When a door is opened all of the light beams out of it. It’s easy to find your way because the door is open for you to enter it. When a door is closing it appears as if the opportunity is gone and you don’t have anywhere to go, but on the contrary, when a door is closing the path remains lit. The question is will you seize the opportunity and run in the right direction? If you look carefully at the picture to the right, you will see that as the door is closing the pathway away from the door is still lit. The further away you go from the entrance of the door the brighter the path becomes. *Insert praise break* You are probably wondering, why I am so excited. I’m excited because not only does God open doors, but when you trust Him and get away from the entrance of the closed-door and begin following Him, He will illuminate the path to your next opportunity. You see, the problem with most believers is we ask God for something and when a door closes we become consumed with staring at the door that has shut instead of looking at the path God is lighting to lead us into a new direction. John 8:12 says, 12 Then Jesus spoke to them again, saying, “I am the light of the world. He who follows Me shall not walk in darkness, but have the light of life.” Jesus is the light of the world, He can take what appears to be a dark situation and make it shine ever so bright. Too many people are following their situation instead of following Christ. Will you follow Christ? What opportunity have you been chasing lately? Have you ever been so confident that the door was going to open, but instead it closed? Are you staring at the closed-door right now or are you going to seize the opportunity and follow the light to your blessing? I want to encourage you to seek God and follow His instructions. Follow His light and watch Him blow your mind! Good morning. Happy Monday to you all! 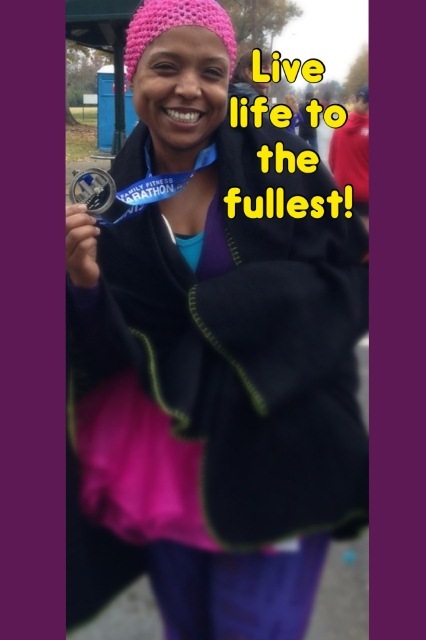 On Saturday, November 16, 2013, I had the privilege and honor of completing my 2nd half marathon (13.1 miles) in Richmond, VA. I was also was able to see marathoners’ qualify for the Boston marathon. It was such an exciting experience. I saw people crying, falling out and even limping across the finish line. I saw all different races, genders and sizes striving to reach one goal. I saw people grimace in pain and others shouting for joy. All of these emotions told a different story for the individuals completing their races, but one thing held true; we all finished strong! The pain that we may experience is temporary, but the sense of joy and accomplishment that we will feel will last forever. God reminded me while I was experiencing the ups and downs of Saturdays race, that nothing worth living for will be easy. When you choose to live a life that is pleasing to God, you will go through some tough times, but JOY will come in the morning. Life is about challenging yourself to go higher and get deeper in Christ. While you are on your Christian journey, you’ll cry sometimes, experience pain, and even want to give up, but remember the joy of completing the thing God has called you to will last forever. 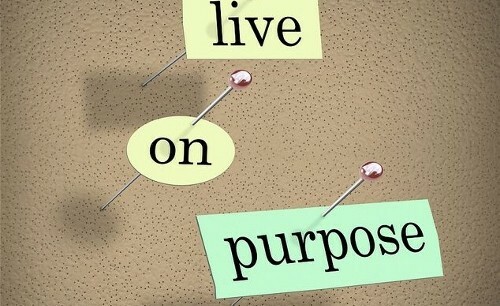 I encourage you all to LIVE ON PURPOSE!!! We are only given one life and we should live life to the fullest. It’s important to live on purpose and for a purpose. God has called you to greater things and you can’t get there if you want to stay comfortable. If you don’t know what God has called you to then seek Him and allow Him to stretch you. There is a common misconception about believers; people think that once you are saved you won’t go through anything. On the contrary, you will go through some of the toughest things life can throw at you, but don’t fret, God will give you everything you need to get through it. When you make a decision to serve God and to live a life of purpose you can expect opposition. You will be stretched beyond measure in order to increase your faith and to be a testimony for other people. I say, throw caution to the wind and allow God to take you higher in Him. Fear has kept you bound long enough. Now is time to step out on faith and pursue those dreams God has given you. Yes, you will encounter pain, but it won’t last always. Will you choose to live on purpose or will you continue living just to die? Good morning! I pray you are all doing well. Word of Advice: Whenever you find yourself pouring out to people, make sure you take time to have the Lord fill your cup. It’s important to find time and rest in God while He restores to you all that you give to others! AMEN! I know some of you may be reading the title and thinking, “I DO LOVE GOD MORE!” Well, I don’t doubt that you love God; however, I believe we could all love God more. I believe there is a rising epidemic of believers who are failing to give all they can give to the kingdom of God. I believe that the kingdom is suffering because believers aren’t giving God the love He desires, and as a result, ministry is suffering. You see, Christians love God, but they love themselves more. And I’m not talking about the sacrificial love that God gives to us; I’m talking about that lustful, selfish ambition fulfilling, flesh feeding love. I’m referring to that overwhelming hunger to feed and please the flesh by any means necessary. Maybe I’m not talking to you, but you know that Christian who attends church every Sunday, quotes every scripture, attends every bible study, but never experiences spiritual growth? Or maybe I am talking to you and you are the one who is comfortable in your inactivity in church or even your misplacement in ministry because “at least” you are doing something. I believe some Christians are stuck in a stagnant state due to their excessive love for themselves. Allow me a moment to break it down. God has called you to serve in a ministry that is lined up with His will and purpose for your life, but it means you will lose the title that you currently have in the ministry you “lead”. You love your flesh so much that you are willing to remain misplaced all so you can feed your flesh. God requires you to walk away from living a promiscuous lifestyle, turn away from alcohol, give up cursing, stop stealing, and the list goes on, but you love your flesh so much that you refuse to give it up. Or perhaps, God has been tugging on your heart-strings to forgive those who have misused and abused you in order for Him to carry you to the next level, but you love the way you feel when you are angry and you won’t forgive. You love yourself so much that you are willing to be disconnected from God. I could go on and on with examples of how believers choose to love themselves more. The word tells us that we won’t gain anything if we seek after the world (Mark 8:36). 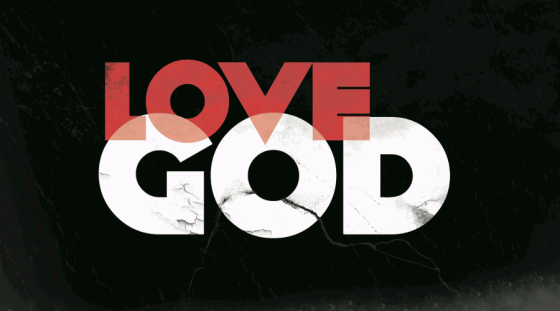 Children of God, I encourage you to love God more than you love yourself. The word tells us to love Him with all of our heart, soul, strength and mind. If you aren’t where you want to be in Christ, I urge you to examine your love relationship with the Lord. Are there areas in your life that you need to give up in order to grow closer to God? Will you choose to love God more? Actions speak louder than words and it’s time to give up somethings, attitudes and beliefs. It’s time to fall in love with Christ and out of love with your flesh. I pray you have a blessed day! I’m on a mission to love God more! Good morning! Happy Wednesday to you all. This is the day the Lord has made, choose to rejoice and be glad in it. Don’t give power to complaining, bickering and murmuring. Make a decision to find the blessing in every situation. Have you ever wondered why you are on this earth? What is your purpose for living? I have. As much as the flesh desires to do its own thing, the spirit that lives within me fights to resist the temptation to sin. Have you ever found yourself torn between two worlds? Do you feel like you are in one body but fighting two battles; both spiritual and physical? As believers, we are not exempt from sin; however, the deeper we grow in Christ we become better equipped to handle sin when we are confronted. NEWS FLASH: We are Jesus’ workmanship! Workmanship is defined as something effected, made or produced; also the quality imparted to a thing in the process of making. In other words, we were made by Christ, for Christ, possessing the quality of Christ in order to carry out His will! You were not created to do your own thing and to live any kind of way. I know in your mind you have said, “It’s my life and I can do what I want to do.” However, it is not your life. You are the workmanship of Christ and should conduct yourself as such. Below is Ephesians 2:1-10. These scriptures compare what we were by nature, with what we are by grace and then declares that we are created for the good of the Lord. I don’t know about you, but I can’t continue living like I’m an unsaved heathen. I can’t continue to walk around in ignorance when wisdom is available freely to those who ask for it. It’s a privilege and an honor to be a child of God and it’s time for us to rise up and conduct ourselves as His workmanship. There are people without hope who are depending on you. What do they see when they look at you? Do they see someone who is set apart or do you look just like them, lost? Have a blessed day! Remember you are His workmanship!